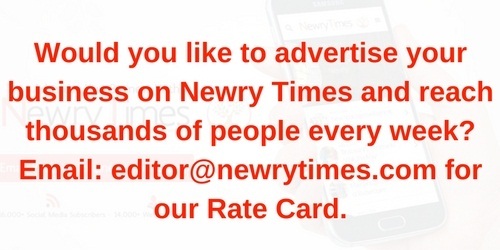 After last week’s fantastic result against Cork, many Armagh fans would have went into this game full of expectation. Armagh had arguably the toughest set of opening fixtures in the National Football League this year, but they stood up and achieved a remarkable 3 points out of both games. Armagh started the game on fire giving themselves a fantastic lead of 1-3 to 0-00 with a goal from Brian Mallon and points from Aidan Forker (2 points) and Malachy Mackin. The Kingdom responded by getting the better of the remaining first half exchanges and came out with 3 points compared to Armagh’s 1, the score at half time – Kerry 0-03 Armagh 1-04. The second half couldn’t have started any better for the Orchard County when an attempt from Donaghy fired off the Kerry crossbar and found the feet of John Kingham who slotted home to make it 2-4 to 0-03. The visitors defended superbly to make life difficult for Kerry who could only manage another 7 points in the second half. Kerry’s frustration only got worse when Tomas O Se picked up a red card following an incident in which his knees seemed to connect with an Armagh man’s ribs. Armagh were soon reduced to 14 men as well when Finian Moriarty picked up a second yellow. Efforts in the dying seconds seen Kerry manage two consolation points, but the result was already taken care of. 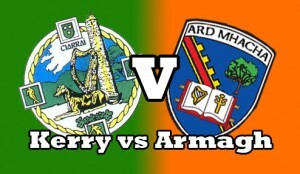 Final score in Tralee – Kerry 0-10 Armagh 2-08.